Plush Casino 2018 | Claim the Latest Bonus & Read our UK Review! Plush translates to luxury, opulent, lavish and any other name that comes to mind. So if you are looking to have an elegant experience, then you are welcome to join Plush Casino. It was created by the middle of 2017. It is operated by Nektan which is a registered provider of gaming solutions globally. The layout of the website is quite unusual and depicts class. Everything seems to be in place ranging from games to information. Once you land on the casino lobby, there is a massive banner of an enticing bonus. On the left-hand side of the hall, everything you need is just within your reach. Scrolling down Plush Casino, you will find a handful of useful information to help guide you. This review takes an even closer look at Plush Casino. Plush Casino takes a luxurious approach to everything that they have to offer. Of course, who wouldn’t like a rich welcome bonus and promotion? They provide every new player with an equal opportunity to get as much as $500 and 50 extra spins as a welcome bonus. This is strictly for new players alone. A minimum deposit of $10 qualifies you to get a bonus from this operator. However, if you want more, then you might want to consider depositing more. It is important to note that this is not a onetime deposit bonus. So don’t get too excited just yet. The extra spins can only be used on Starburst. Plush imposed a wagering requirement of 30 times for all welcome bonuses. Based on the calculation, the more bonus you get, the less your chances of getting it out because 30 times is a lot. Promotion means merely life after a sumptuous welcome. The good part is that Plush Casino offers a plethora of promotions and campaigns. Currently, Plush Casino offers more than eight different promotions. Each of these promotions is geared toward providing better chances for players. If Wednesday is your lucky day, then the winning Wednesday 15% win boost will surely give you a boost. All you have to do is deposit $25 on your first Wednesday, and this promotion is yours to grab. Plush Casino offers other developments like the VIP club, the Booster Bonus 50, the 1000 Slots Battle and many more. Whichever promotion you choose to participate in, they have their specific wagering requirements. Personally, I find the wagering requirements a little tricky and confusing. If you want to be safe, you probably should contact support for clarification, so you don’t run into any trouble. On a scale of 1 to 10, I would say that Plush Casino Ranks eight regarding their payout speed. This brand takes about 2 to 3 days to process any payment request. Even though this is the standard duration all things being equal, there are times when all things are not similar. In such cases, payout might take a little longer than expected. Plush Casio sets its minimum withdrawal amount at just $20. The maximum amount for withdrawal at Plush Casino is $2000 in one day. Before you get too excited, this does not translate to $60,000 in a month or 30 days period. The maximum amount is $5000. Therefore, any other payment request will have to wait until the next month. Plush Casino offers a lot of payment options. However, e-wallet options are highly recommended for convenience, speed, and security. Everything about Plush Casino is elegant. The platform is powered by only posh game providers. These include familiar names like RTG, Microgaming, Saucify, BetSoft, Rival, NetEnt and a host of other top posh software providers. Having said this, one would only expect one outcome. An array of posh games courtesy of posh software providers. This is what Plush Casino offers players. They’ve got a vast library of slot games. If you are looking forward to getting dazzled, then you can try out Dazzle Me. For those looking to try out some of their chemistry skills, have fun playing Breaking Bad. The slot games at Plush Casino are currently more than 300, and it keeps increasing by the day. Plush Casino has another type of games as well. You can also have fun playing Roulette, live casino and other forms of games. 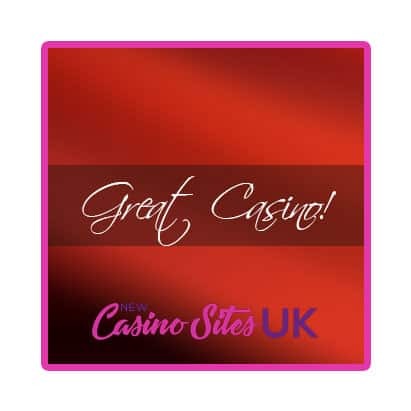 Find our #1 slots casino guide for the UK here. The support team at this company is available for everyone. New players, old players and prospective players are free to contact support via the dedicated channels. With the tricky terms and conditions in most platforms, you might want to contact their support for clarification Plush Casino is up to the task which is why they would like you to get in touch with them. Between the hours of 8 am and 12 pm daily, the telephone lines and live chat are wide open. However, Plush Casino believes their team needs to rest which is why they will not be available 24 hours. However, they are quite responsive and will respond to email queries within 24 hours. Plush Casino would like you to stay in control. Bearing in mind that gambling is addictive, they encourage players to see gambling as fun rather than as a source of revenue. Therefore, if for any reason you feel that you are no longer in charge and would like some help, Plush Casino has it covered for you. Feel free to contact them via any of the support channels. Based on the agreement, Plush Casino can help place deposit limits on your account. Also, they can exclude you from playing temporally so you can restrict your armoury and take charge of the situation. Whichever you decide to do, they sure do have your back. In addition to meeting the set wagering requirement for a particular bonus, Plush Casino has some other terms. For example, they have explicitly said that bonus winnings would be capped four times the original value of the bonus. Now I’ve got a feeling that something isn’t right here. Well, if you feel the same way, then I suggest you hear from the horse’s mouth. Generally, they have a great website design. The arrangement is quite smooth. The games run into several hundred. The games are of high quality and very compatible with mobile devices. Payment is swift although there is this little friction between Plush Casino and electronic payment like Neteller. You might want to verify this since most people do prefer e-wallet payment options. In all, Plush Casino is plush.